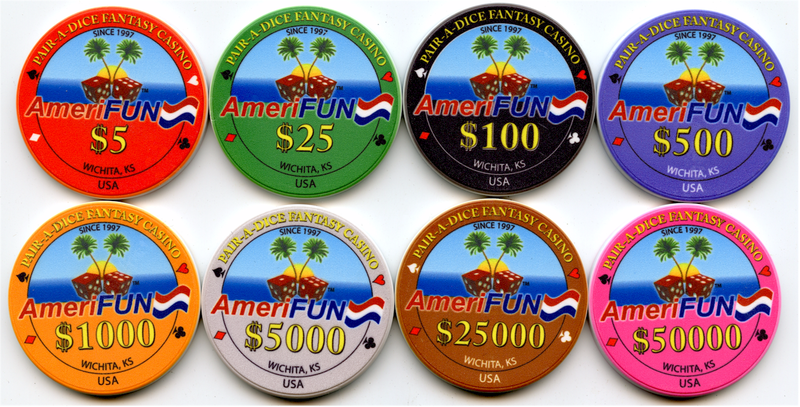 Most requested 14′ version shown, serves 25 plus up to 4 dealers (features vertical dealer chip rack with our original croupier chip rack which greatly improve the payout process). Our Craps is available in 6′, 8′, 10′, 12′ & 14′. Craps is the #1 most high-energy game and a favorite with the gents. You will hear the loudest cheers coming from the craps for the duration of your event. 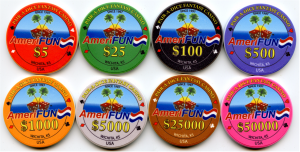 This table always stays full so be sure to consider CRAPS for your casino rental lineup. We will typically include the appropriate sized craps in your custom optional proposal based on guest total or per any requests. Our 6′ Craps (shown) is the perfect craps table for smaller groups. Guests shoot from one end. This table features chip rail, arm rest, drink rail and includes chasing light and skirting (and we just replaced the layout!). Our 8′ Craps is the most popular by far. It is over-sized (technically 9’x5′) and will serve 12. It features chip rail, arm rest and drink rail all the way around. 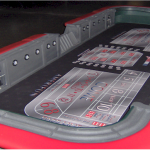 Our 8′ craps is also a full crap and players can play either side. Our 10′ Craps is ideal for groups over 100 people and a definite step-up from the 8′ (and looks much larger than it is!). Serves 15. Includes all the features of the 8′ craps. Our 12′ Craps is currently not available. The table serves 20 and is a great fit for groups under 200 people. Our 14′ Craps the best of the best and is actually 15’x5′. It will serve 25 and is a must-have for larger groups of 200 or more. As always we will recommend the apt craps for your size of group (we may recommend additional craps tables for very large groups).